Living in SF means I constantly have access to amazing eats. In fact, keeping up with said amazing eats can be exhausting. Pre-baby, the husband and I would frequent many restaurants on our shared list of "restaurants to eat at." So original, right? However, post-baby meant dropping that list (for now). 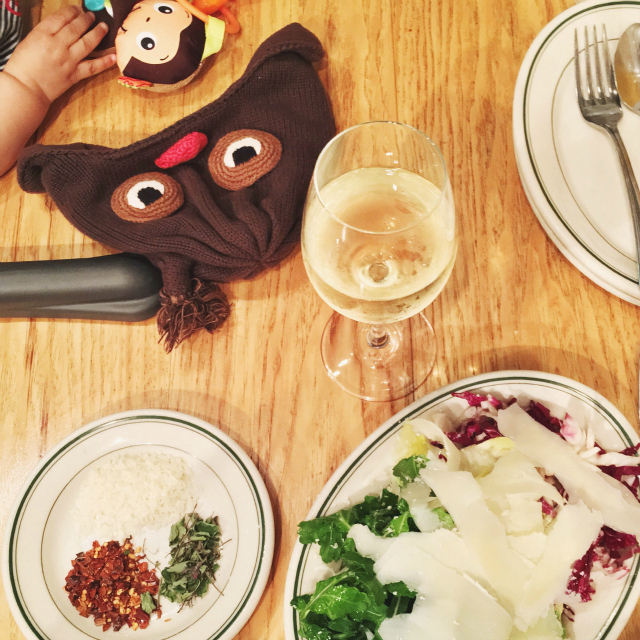 Our list still grows, but we're figuring out the best-for-us-sorta-baby-friendly spots in SF. So why am I bringing food up now? Well, it's one of those topics that I always wanted to venture out on this blog. Not because I'm some amazing cook or connoisseur of SF dining, but simply to share my enthusiasm with others who feel the same way. I value good ingredients and the efforts that go towards cooking a good meal. I like to cook and I like to eat. And while I'm perpetually perusing the web for fellow mothers who appreciate the art of cooking and the love of dining, I figured that I could share my little knowledge base as well. It'll be a work in progress for sure. I'm going to balance my personal style with my personal take on food. A little bit of experimentation if you will. Don't worry, I'm not trying to become a Martha Stewart here. I'll leave that to the professionals. But, I sure am going to check off that item on my to-do list I mentioned before. Surprise! 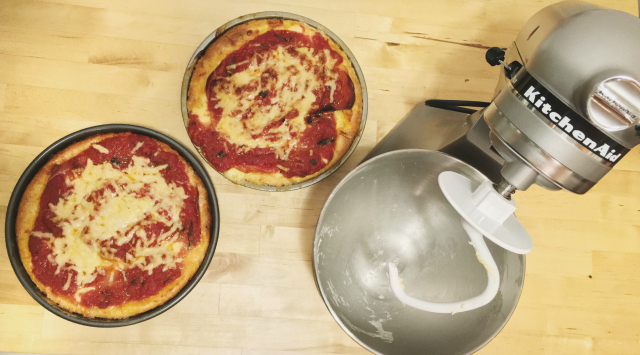 A gifted Kitchen Aid for Christmas means an attempt at deep dish pizza at home! Yum, everything looks so good! San Francisco is one of my top places that I'd like to visit and this just makes me want to visit even more :) Looking forward to seeing more of these food posts! I *wish* I could bring a bit more of my love of food, cooking and baking to my blog as I am a trained chef however I've been told by a few of my readers they just skip those posts immediately. I love SF for food and look forward to these posts. We were in San Francisco this summer for about a day and a half and it was not enough time! I want to go back and try so many more restaurants! Love this! I for one loving looking at pictures of food while my mouth waters! Yum! YUM! You've got me so hungry over here! 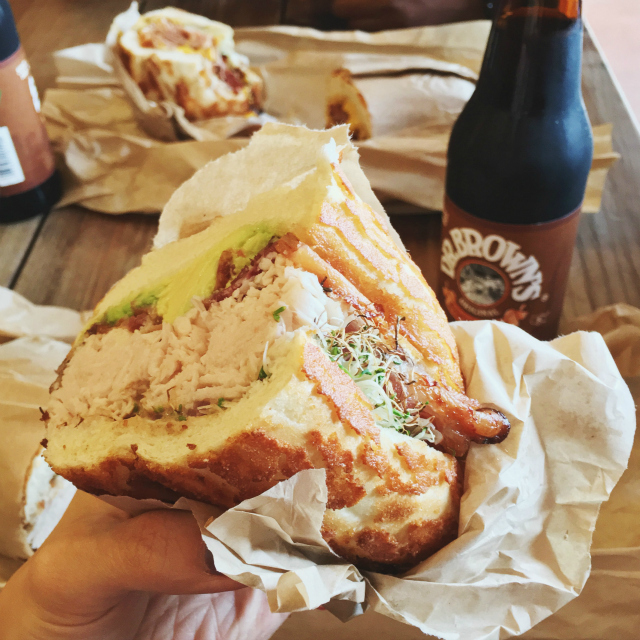 We ate our way through SF when visiting. Everything looks so yummy! I love tacos and all Mexican food! Thanks for sharing! This looks really delicious, want to taste!!! Yummy!! Everything looks so delicious!! Your food photos look so good! I love eating out too, but love cooking at home. How cute are your little homemade pizzas? That top sandwich looks amazing! 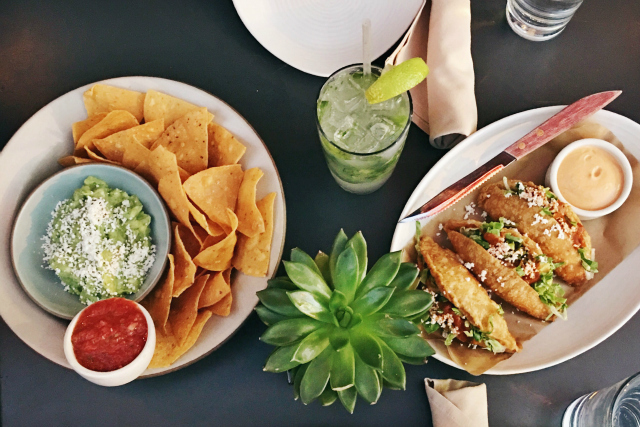 How among us doesn't love a good food post! Pics are great, and I am sure that finding family-friendly places to eat near you, will be valuable to those nearby, and interesting to us further away! 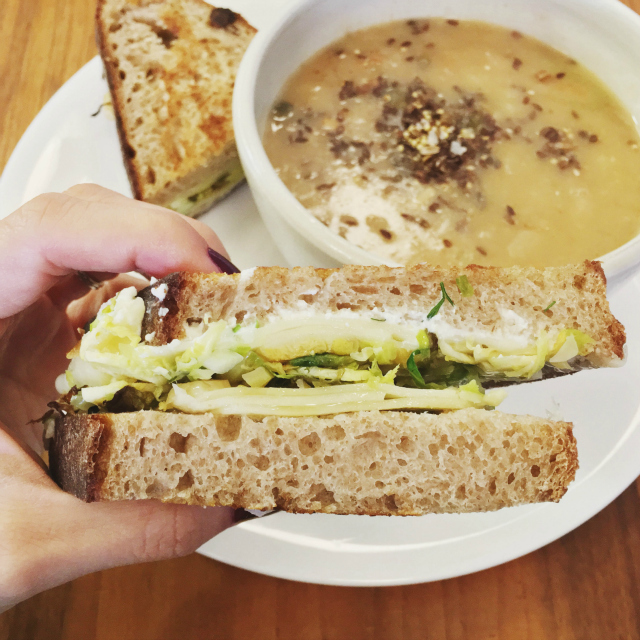 That first sandwich looks amazing, and the salad! I have always wanted to visit SF. I heard that there are so many good eats there and your post only made me want to visit even more. Yummy!